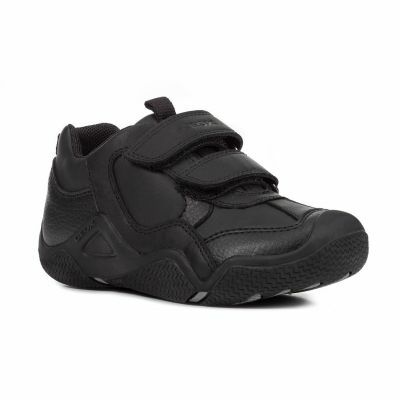 Boy's breathable waterproof ankle boot designed especially for city wear and bad weather. 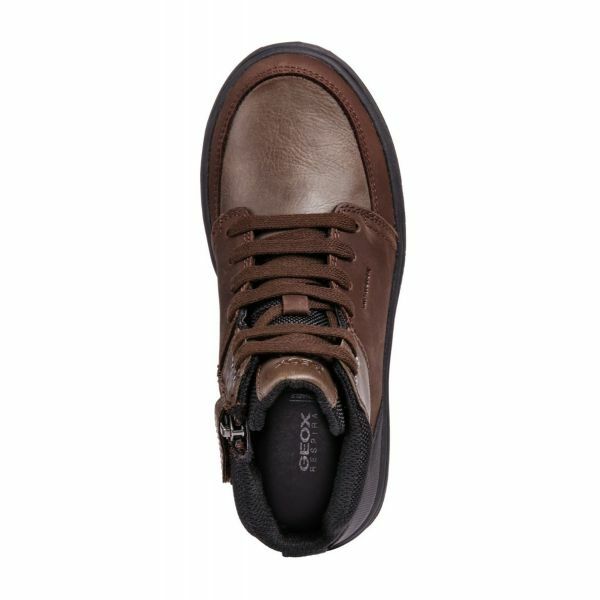 Mattias Boy comes with an exclusive Geox-patented perforated sole which makes it breathable and comfortable for the whole time it is worn. 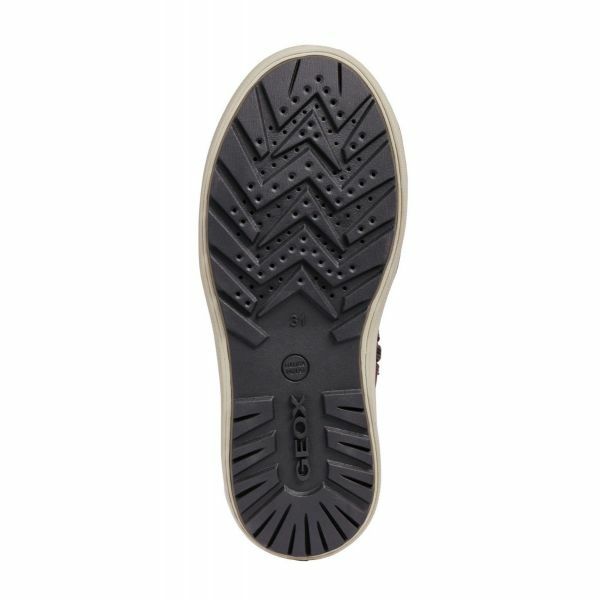 The non-slip sole comes in durable rubber whilst the snug lining provides a sensation of utter wellbeing. 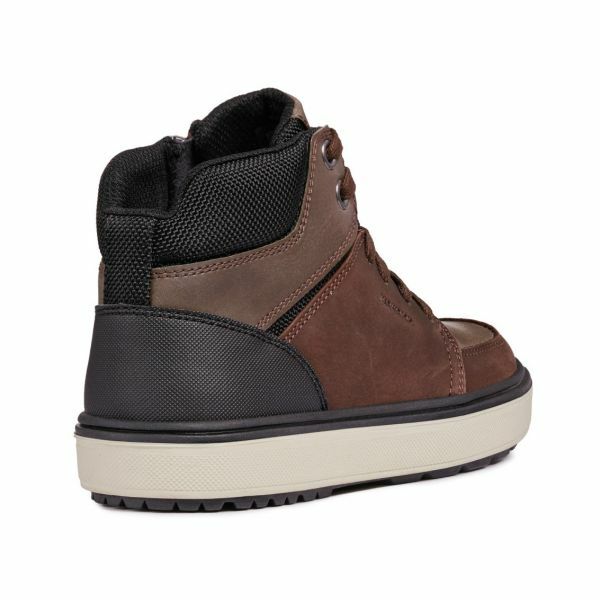 It features a removable insole for the sake of hygiene and convenience which is breathable, lightweight and cushioned. What is more, it has been lined in felt and aluminium to make sure the foot enjoys outstanding thermal insulation even when the temperatures plummet. 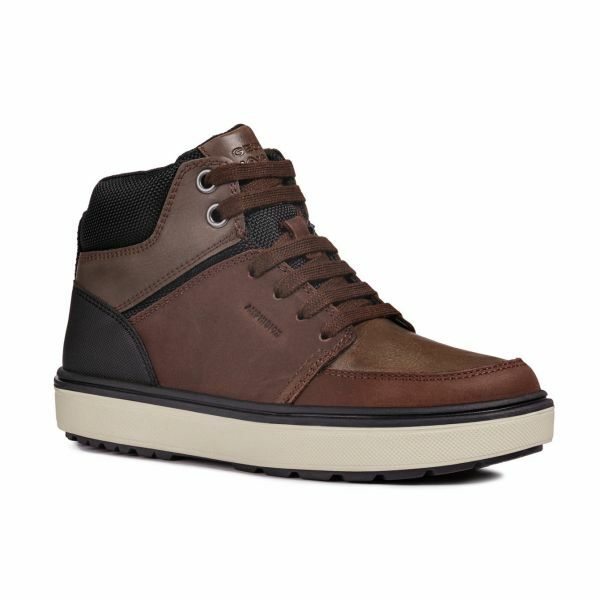 This piece of footwear has laces and an inside-leg zip fastening, making it really quick to pull on and off, whilst the leather and fabric upper comes in a coffee-coloured and black palette so it is versatile and easy to mix and match. Amphibiox features advanced waterproof technology from the world of professional outdoor wear hidden in the form of a fashionable shoe and is suitable for rain, mud and snow. Be ready for everything the city throws at you, with Amphibiox, the perfect footwear choice for any condition.